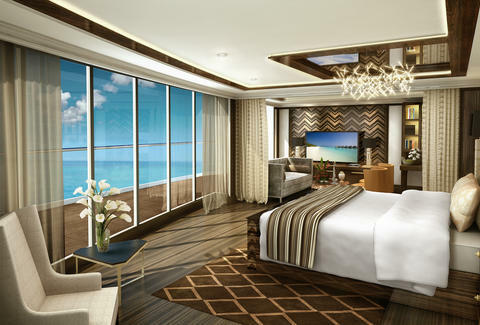 Going all-in on the idea of rich people taking to the high seas on boats they don't actually own, Regent's dropping $450 million on new cruise ship with a luxury suite that's bigger than most houses. 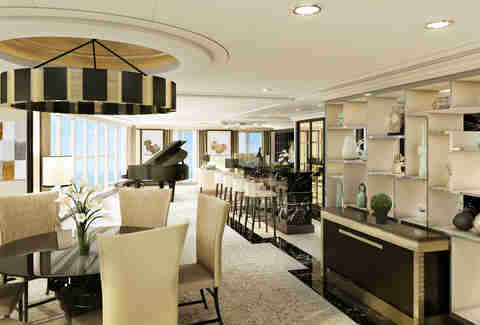 The extravagant two-bedroom Regent Suite aboard the Seven Seas Explorer checks in at a roomy 3,875sqft (the average American home is around 2,600sqft, btw) and includes a grand piano and a wall of windows. 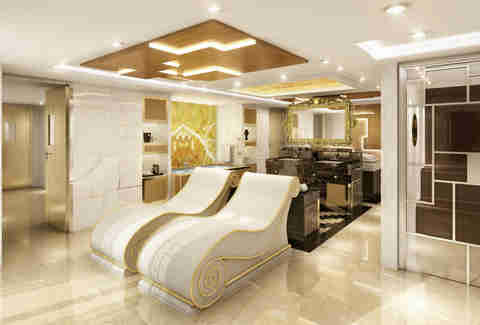 Not to mention its own spa with both a sauna and steam room. Oh, and there’s a private garden attached with more glass walls; you know, to help avoid overboard accidents like this. So, how much will all that leather, marble, and glass cost you? About $5,000 a day, to be exact. But hey, you also get access to three exclusive dining rooms and a 694-person theater. 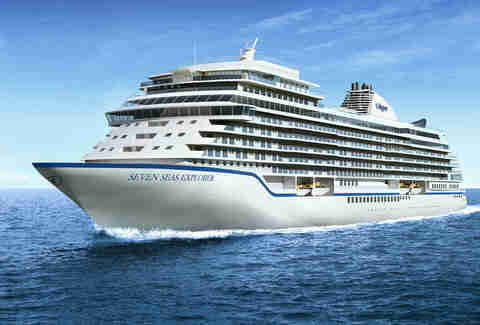 Set to launch in July 2016, the Seven Seas Explorer will embark on an inaugural two-week cruise from Monte Carlo to Venice, before tooling around the Mediterranean. And you can book your spot starting Feb. 4, right here.